Advertisements began as a means to promote products and ensure the audience of its quality and use. There are many advertisements that are positive and spread great messages. For example, the brand campaigns which showcase and encourage women empowerment. However, over the years, advertisements have gone on to include a parallel conversation addressing the many issues faced by society. 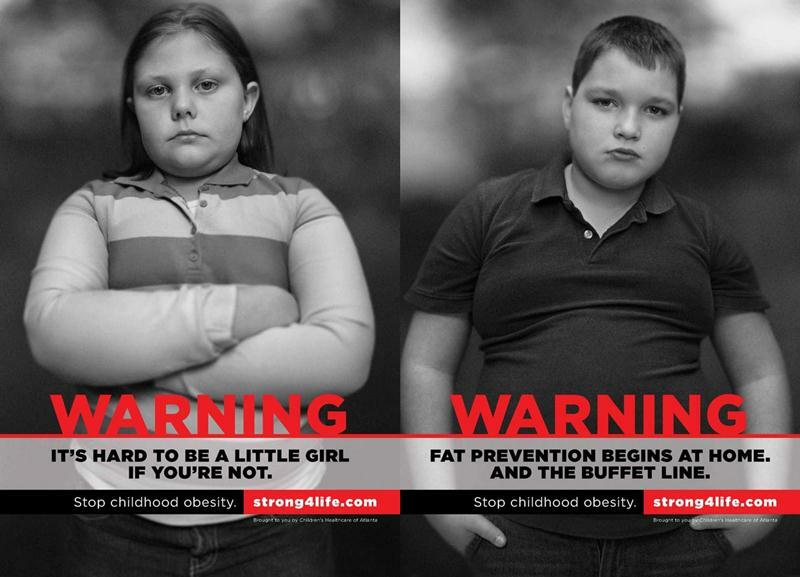 The problem arises when the advertisements lack the sensitivity and the research behind their campaigns and promotions. In order to stand out among the many brands, certain companies have strayed from the path of human susceptibility. Certain campaigns are bound to make you cringe at the message it voices and though it puts the brand through an episode of social suicide, some companies are willing to take the risk. A number of top controversial advertisement campaigns have been added to the list of controversies across the globe. Here are the top controversial advertisement campaigns that drew a lot of attention and objection! When Versace came out with its family-oriented line of clothes with teenage model Gigi Hadid, it wasn’t a picture-perfect family. The poster showed Gigi Hadid walking the streets with her two kids, one holding her hand and the other chained to a stroller! The ad sparked objections to being racist and sexist as the “interracial daughter” was bound to the stroller using metal chains. Thus, adding to the list of top controversial advertisement campaigns of all time. The advertisement also was shut down for using the 21-year-old model who would have had to become a mother at the age of 14! It concerned the public for reportedly glamourizing teen pregnancy. However, Versace defended the campaign stating that “the combination perfectly illustrates the relevance and wearability of modern #Versace for all parts of one’s life, from the ultra-glamorous to every day.” The same line was also portrayed by Karlie Kloss which also received severe backlash. But the brand refused to put a pin on the campaign. The list of top controversial advertisement campaigns can never miss the 12 Magazine ad. This Bulgarian magazine was targeted to widespread objection for its new fashion shoot that portrayed female models subjected to physical violence. The models were portrayed to apply make-up to cover up the obvious proof of violence inflicted upon them. By doing so, the magazine crossed the line of violence against women and used it as a means to promote their product. 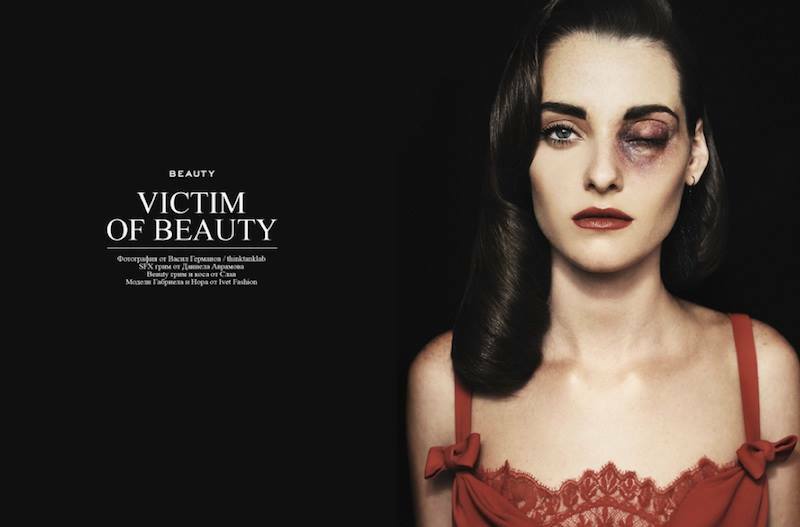 The posters were released with the tagline, “Victims of Beauty” to represent the message behind the cringe-worthy image. “Violence against women exists way too frequently in real life for us to want to look at it in a fashion magazine,” remarked fashion blogger Cheryl Wischhover. Fuelling the backlash was the magazine response to the campaign stating that “This shoot was left without an introductory text, thus allowing everybody to translate it the way they want. A lot of people read ‘domestic violence’ in those pictures. But it is their mind who came up with that explanation of the shoot, not ours.” Feminists and advocates for women’s rights were mortified at the response and fired back for their lack of sensitivity while addressing the issue. Kendal Jenner’s Pepsi ad was also one of the top controversial advertisement campaigns that we wouldn’t want to miss. Imagine a cold drink known to cause a variety of health issues suddenly being portrayed as the solution to social justice causes! That is exactly what the latest campaign of Pepsi featuring Kendall Jenner was all about. The advertisement sees Kendall approaching the police officers with a can of Pepsi during a peaceful protest. It touched on the very sensitive issue of police brutality, rates of which are increasing all around the world. The advertisement was met with unified backlash from people and communities everywhere. This led to Pepsi releasing an apology along with Kendall Jenner and pulling away the ad from all media platforms. PepsiCo wanted the campaign to portray the message of unity and acceptance but somewhere along the lines, the concept was lost. India has its fair share of racist and sexist ads that continue to be broadcast on television. 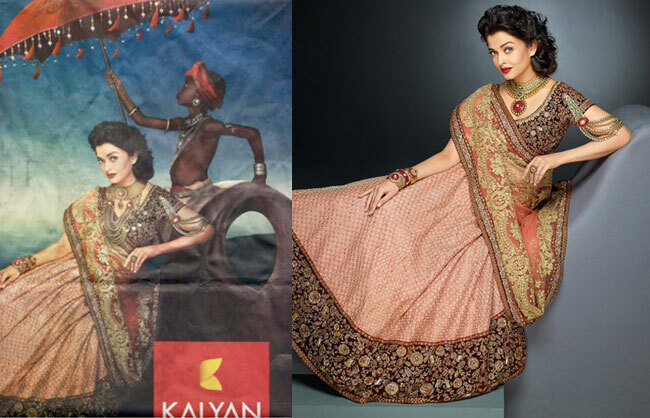 However, the public had had enough when Kalyan Jewellers, one of the leading brands released a poster featuring Aishwarya Rai. The image has Aishwarya Rai leaning comfortably on a parasol while ‘a dark-skinned slave boy’ held an umbrella over her. It was considered to be highly racist and insensitive to the issue that continues to haunt the country. The jewelers later agreed to retract the ad after large-scale public and media opposition. Thus, becoming one of the top controversial advertisement campaigns of all time. There have been several photos of celebrities that gave rise to controversies. Though there are many advertisements that continue to get shot, there are very few that send a strong message. The innate lack of anticipating the public response to the message they want to showcase is one of the main reasons behind controversial advertisements. The world, with all its imperfections and communities, are all fighting for acceptance and injustice. It is important to understand the emotional response the campaign would receive when channeling it to the screens of millions of people. These were just few of the top controversial advertisement campaigns!